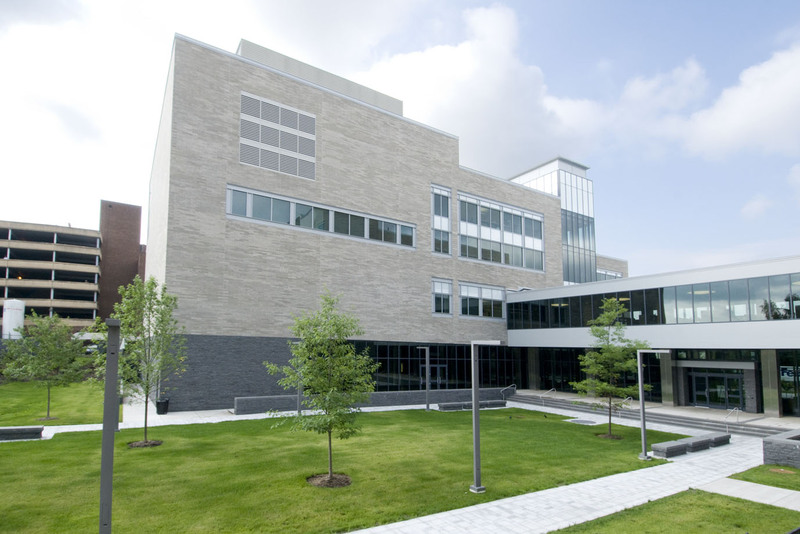 Geisinger Commonwealth School of Medicine (fka TCMC) – NRG Controls North, Inc.
NRG Controls North engineered a comprehensive controls system solution for Geisinger Commonwealth School of Medicine in Scranton, Pennsylvania. Geisinger Commonwealth School of Medicine (fka TCMC) in Scranton is one of the nation’s newest degree-awarding medical colleges and the first of its kind to open in Pennsylvania since 1963. Construction included a new 180,000 square foot medical sciences building featuring state-of-the-art research labs and equipment. NRG North led the successful integration of the facility’s building automation systems (BAS), security, lighting, HVAC, and energy monitoring. Geisinger Commonwealth School of Medicine facilities staff can access controls system information 24/7 locally as well as remotely through a custom, sophisticated front-end system and Web portal.